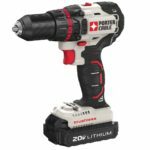 Porter Cable is expanding their 20V cordless line with a couple of new tools – a new random orbital sander and a new LED light. 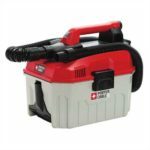 Porter Cable may not have the largest or the most variety when it comes to their cordless tools but I’ve always liked their easy to dive into low price points for budget conscious users. I’m sure these two new tools will also be inexpensive. 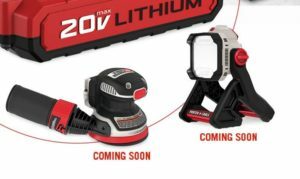 So far Porter Cable is teasing us with the two new tools as they are not yet on their website officially but they show them off in a new tools family picture. 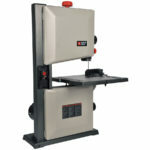 The random orbital sander looks to be based on the 20V Black + Decker sander we recently took a look at. Overall they share the same basic shape with a few cosmetic differences and a new dust bag on the Porter Cable model. The dust bag port looks like it might also allow the use of a vacuum, doubling as a vac port if my guess is true. Something the B+D model lacks. As far as the new LED light goes, there isn’t any info as of yet other than the picture. It’s small and sits on it’s own stand that allows the light to pivot. We’ll have to wait for additional info and features. A big thanks to Cody Robertson for sharing this info with us! 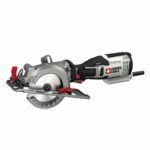 Porter Cable PCE381K 4-1/2 Inch Compact Circular Saw – Is it a Rockwell RK3441K in Disguise?